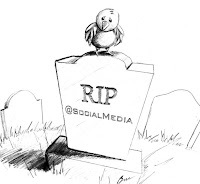 I had an interesting conversation today about social media networks and what happens to profiles after someone passes away. It is a painful subject to think about, but should be considered, especially since social media and other online presences have really become a part of the estate planning process for people across the United States. At the time the article went live on Mashable.com, there were five states with laws governing digital asset management after death. They include Oklahoma, Idaho, Rhode Island, Indiana and Connecticut. In Oklahoma, lawyers now encourage someone who is crafting a will to explain how he or she wants online accounts to be handled upon their death. In Oregon, lawyers prepare a virtual asset instruction letter (VAIL) for clients to leave in a safety deposit box. Email: By providing a death certificate and proof of power of attorney, relatives can order a CD full of messages for a deceased user’s account on Hotmail. For Gmail, the same paperwork is needed plus a copy of an e-mail from the deceased sent to the petitioner. Social networking: Family members can choose to take down a deceased user’s profile or keep it in “memorial state,” meaning that status updates will be removed and only confirmed friends can view it and post comments on it. Photo-sharing: Flickr will keep an account up and mostly open to the public, but if photos are marked as private, family and friends cannot access them. Passwords: There are companies that offer encrypted space to store account information and passwords to give to designated recipients after a user passes away. It’s important to encourage loved ones to have a secure document of passwords or explain clearly what survivors should do with their online presence in the event that they pass away. 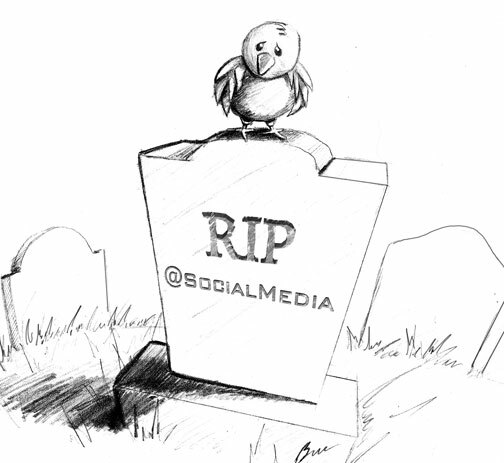 This all begs the question, how do you want your online profile handled when you pass away?